“’This … represent the pinnacle of Dürer’s achievement in the woodcut technique. In no other woodcut does he achieve such a subtle representation of shape and depth through using a system of parallel lines, cross hatching and dashes of varying degrees of density. 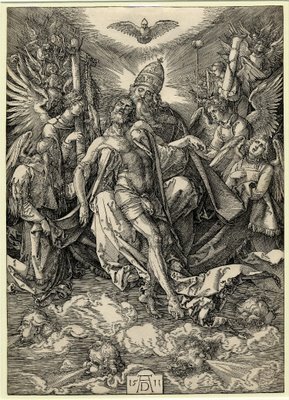 Nor in any other woodcut does he use the white areas of the paper to heighten parts of his composition with such dramatic effect.